It would be hard to deny the beauty that is B.C., with its gorgeous scenic backdrops from every angle, a season for every lifestyle, and the delightful urban perks. Joining the long list of the province’s most vibrant communities is a hidden gem that for more reasons than one is sure to be the next place you’ll want to call home. 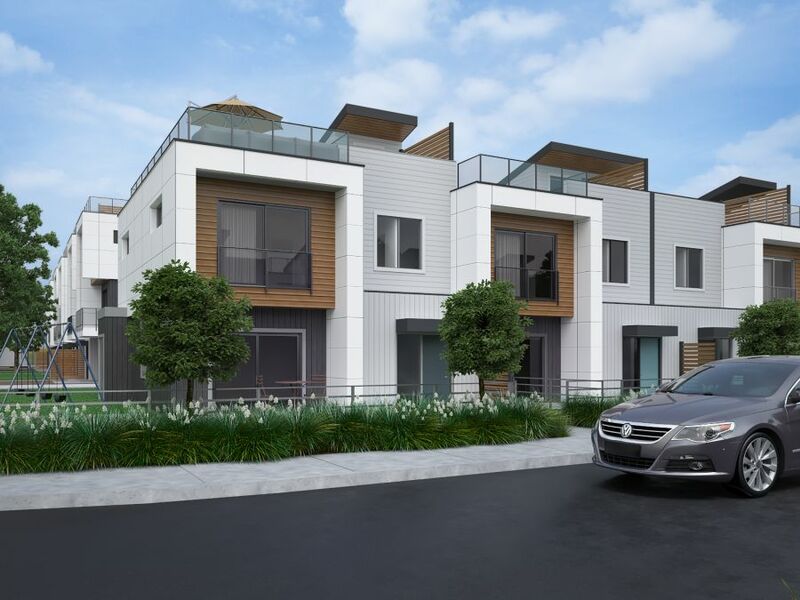 1) MODERN BEACH HOUSE CHARACTER| Our townhomes are a balance of contemporary and modern design. Distinct geometric constructs including staggered elevations, clean architectural lines and a blend of natural and non-traditional materials invite functionality with a touch of coastal flair. 2) BRINGING THE OUTDOORS, INSIDE | An expansive open concept featuring oversized windows throughout invite the natural warmth of the outdoors inside, met with neutral tones, smooth surfaces, and sleek hardware accents. 3) PRIVATE ROOFTOP PATIOS WITH A VIEW | The extended 600 square foot space brings the finest of indoor living comforts outside to suit every occasion and season. With upgrades such as a hot tub, bbq, and kitchen you’ll find yourself on your very own private rooftop patio enjoying early mornings with a cup of coffee in hand, and sunsets entertaining guests while enjoying the stunning views of Wood Lake and the Okanagan Valley mountains in the distance. 4) ADVENTURE & CONVENIENCE|The Landing is an oasis nestled between small-town adventure and big city conveniences. Residents can enjoy the inspiring scenery of the local beaches and parks, and The Okanagan Rail Trail, mere steps away, in addition to shopping, dining, and entertainment in Lake Country’s busy city center. 5) A TOUCH OF LUXURY | Putting a personal mark on style and function of your dwelling is what truly makes it a home. Select from a custom range of high-end finishes and tailored upgrades to satisfy your lifestyle and tastes.